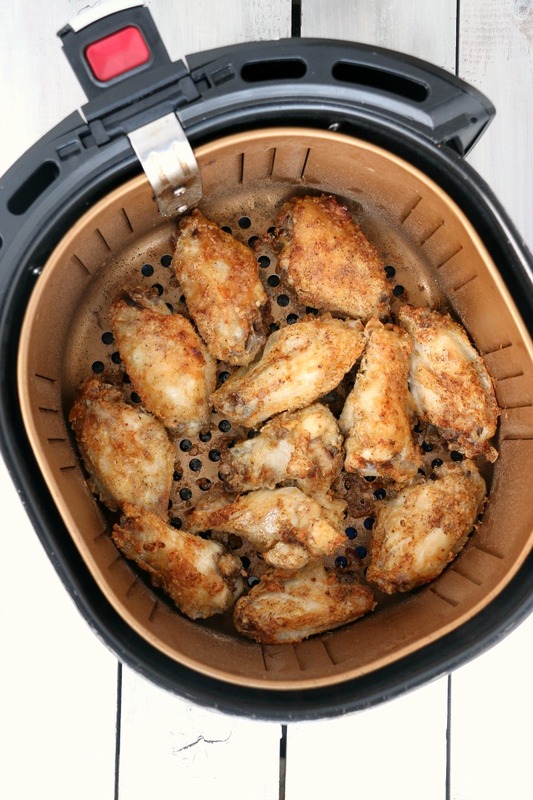 Air Fryer Chicken Wings – Delicious hot wings made in the air fryer in under 20 minutes. 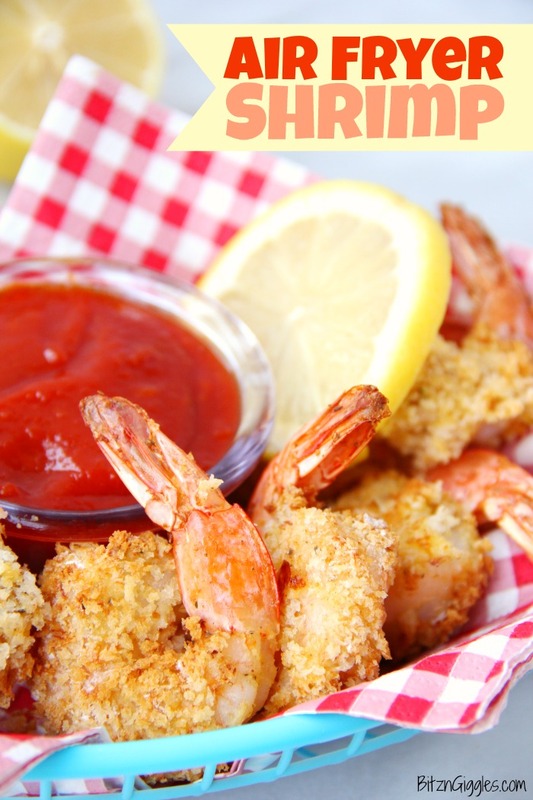 Use the sauce recipe provided or pair with your own favorite sauce! Happy Friday and Happy 1st Day of February everyone! We are officially coming out of deep freeze here in Wisconsin. The kids are back to school today and now they’re predicting we’ll hit at least 40º Fahrenheit this weekend! How crazy is that? Going from a “feels like” -35º Fahrenheit temp to that? Well, hey, we’ll take it! 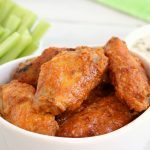 Since Super Bowl Sunday is this weekend, I thought it would be fun to whip up some Air Fryer Chicken Wings! 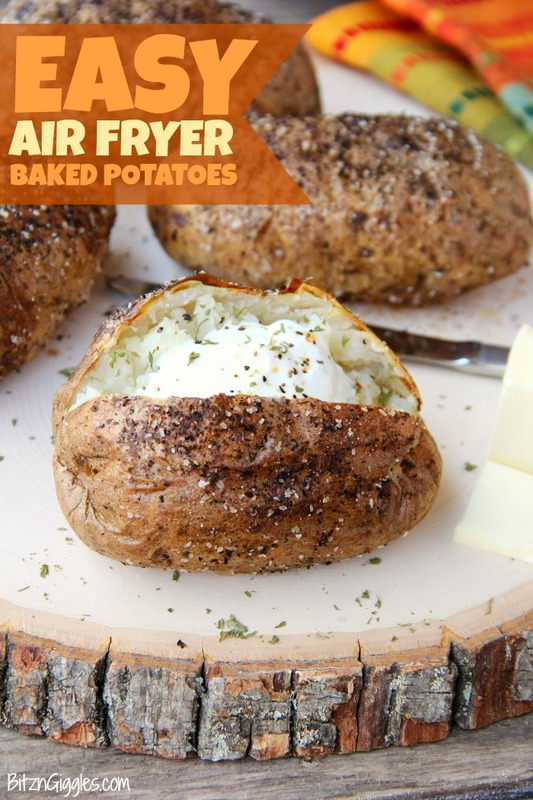 For those of you who don’t have an air fryer, I apologize. 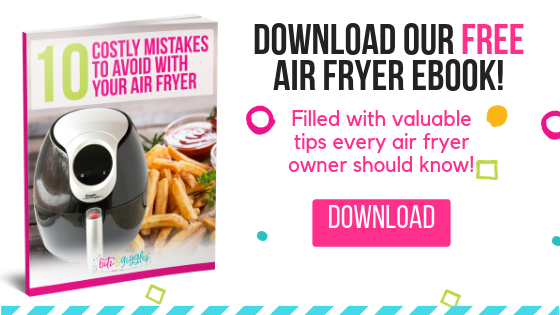 I know that I’ve been sharing a ton of air fryer recipes as of late, but honestly, I use my air fryer or Ninja Foodi almost every day. It just makes meal time so much easier! 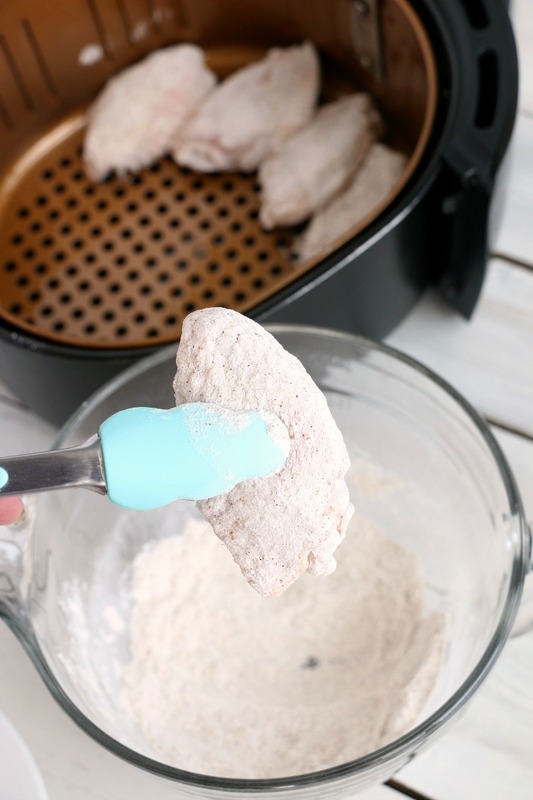 To begin preparing the wings, start by whisking all of breading ingredients together. 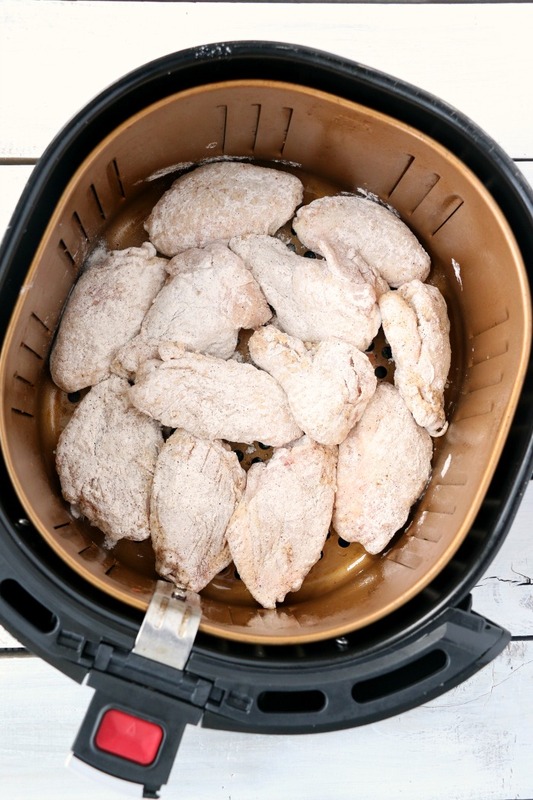 Dredge the wings in the breading mixture and place them into your greased air fryer basket. For those of you wondering if you should dip the wings in eggs or butter before dredging, nope, you don’t need to. One less dish to wash.? Fill the basket so the wings are touching but not on top of one another. 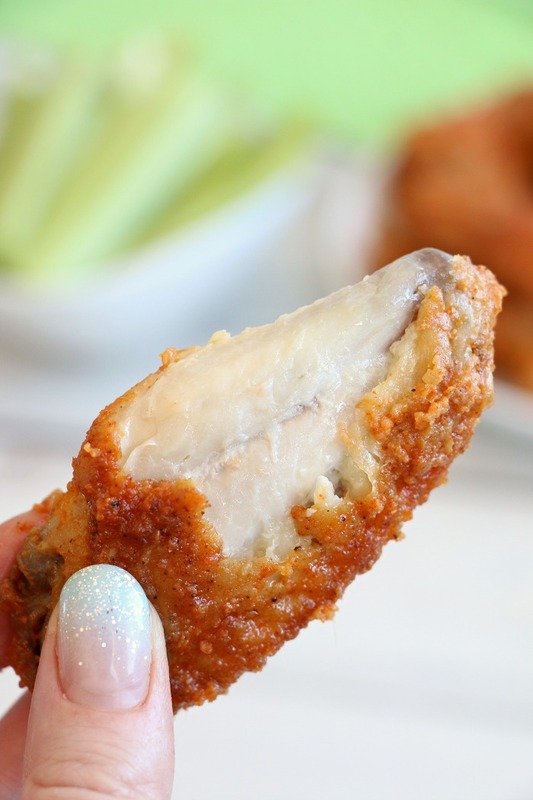 Eighteen minutes later, your wings should look something like this. Pretty delicious, right? 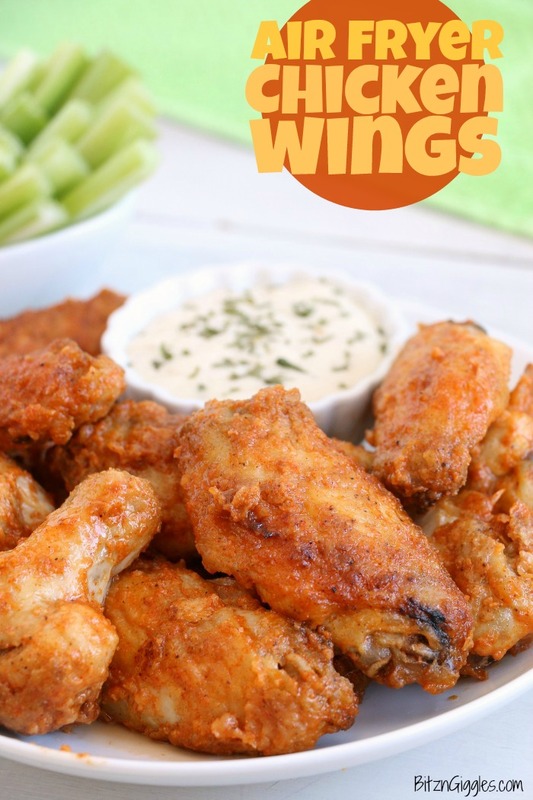 It’s about right now that you call the kids or grandkids into the kitchen to grab their wings before you put any sauce on. 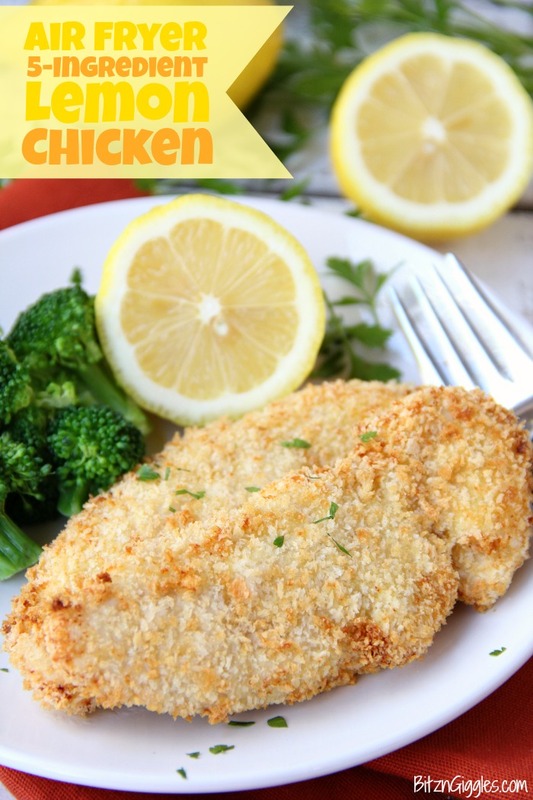 My kids seriously only eat bland foods. If they could have buttered noodles everyday, they probably would. Do you know kiddos like this, too?! 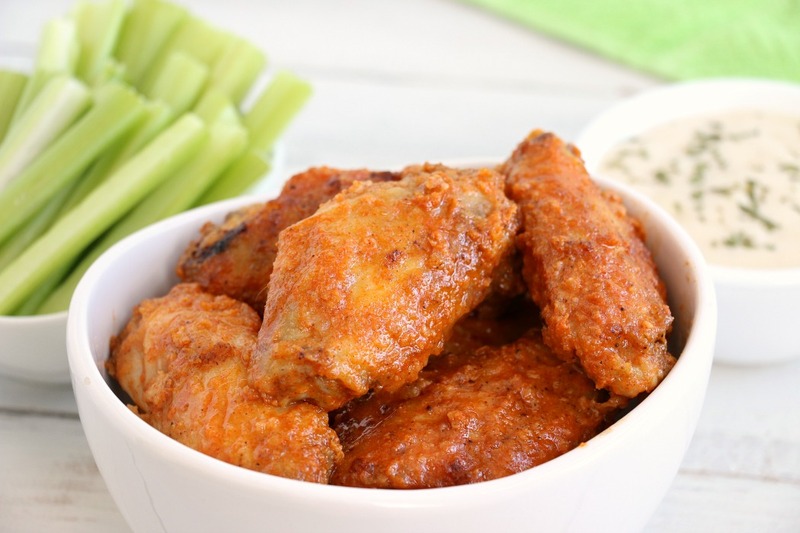 For those of you who can appreciate a good hot wing, keeping reading. For those of you who prefer other sauces or dry rubs, that’s fine! This is the time you should start mixing those up while I continue to work on this hot sauce. 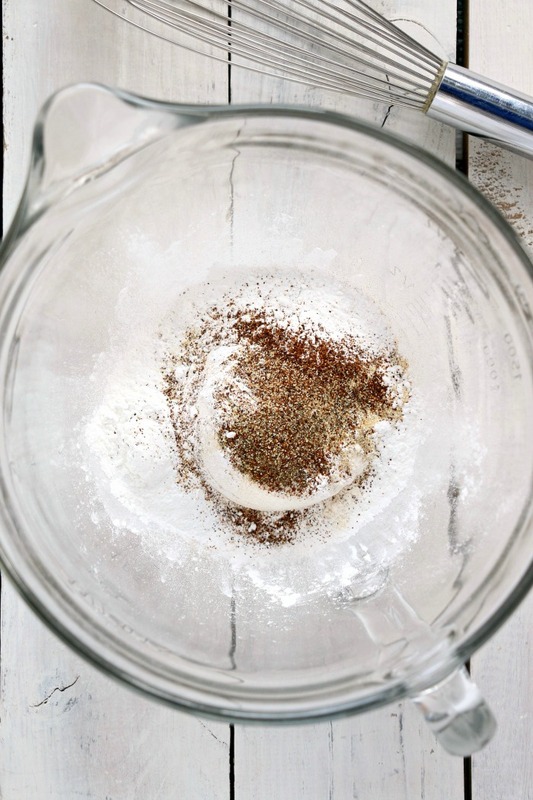 We usually use Frank’s Original or Frank’s Buffalo and mix it with some butter and garlic powder. 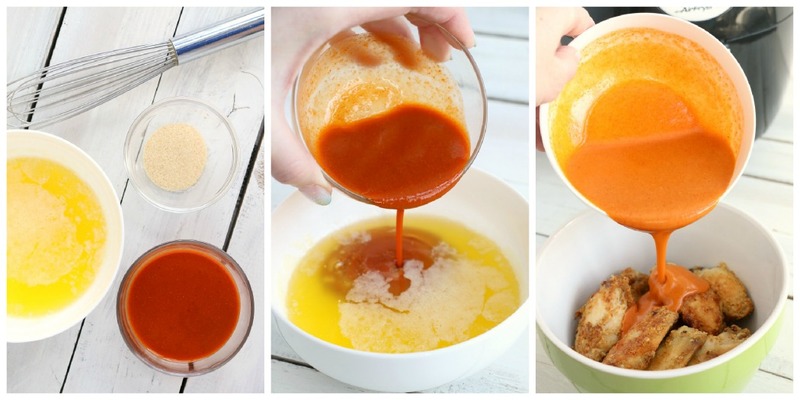 After you’ve poured the sauce over the top of the wings, mix them around a bit and then get ready to enjoy. Our family loves ranch dressing. It’s the perfect partner for these wings. 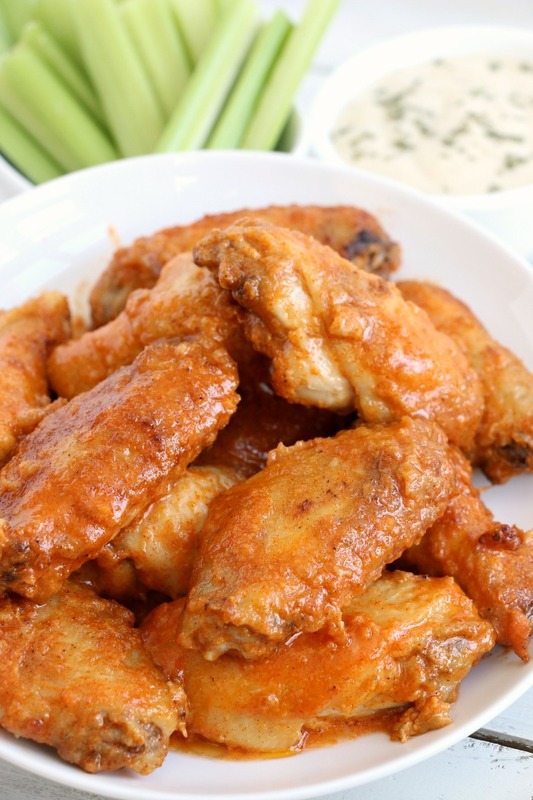 And these wings are the perfect partner for a Super Bowl game, don’t you think? 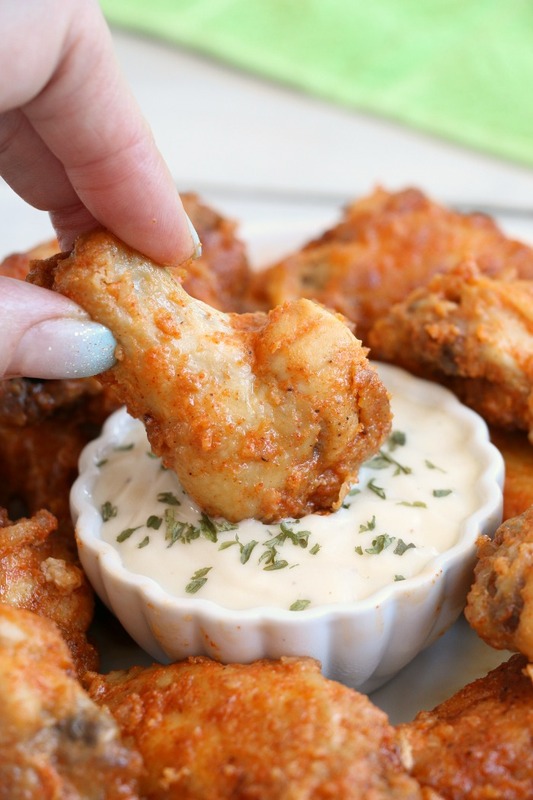 This Sunday, break out your air fryer and some wet wipes, and make these wings! 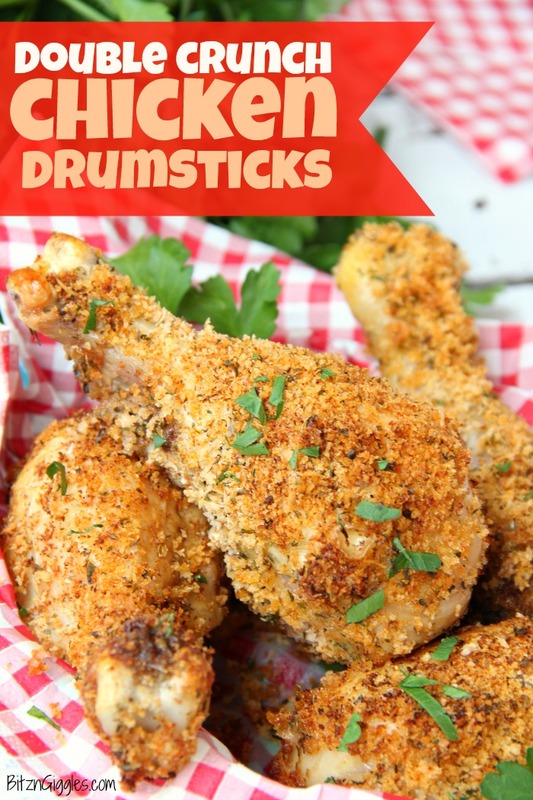 Hungry for More Air Fryer Recipes?